What can you say about the 2014 World Cup? Unmissable, brilliant, the best ever....just a few of the words and phrases we have heard over the past month of footballing action from the heart of Brazil. Teams have come and gone - some as heroes, others in humiliation, but two sides still remain ready to battle it out to become champions of the world. 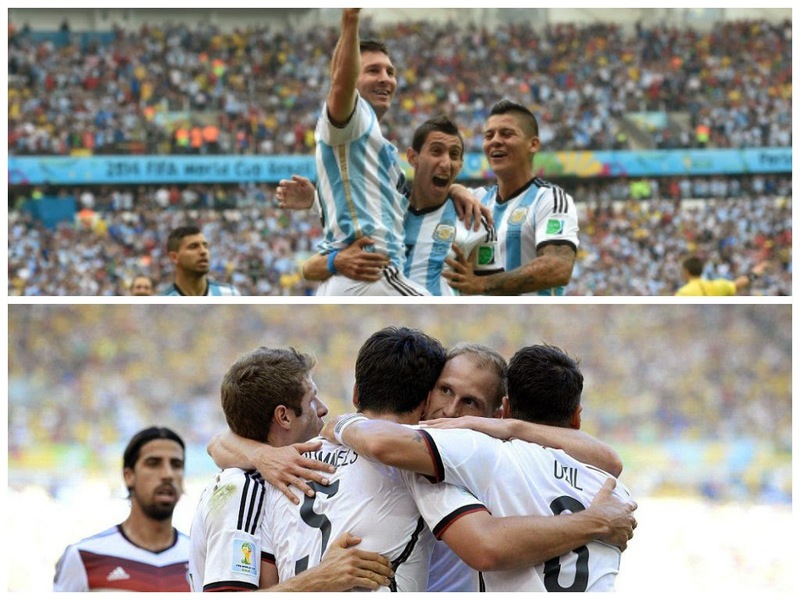 Argentina and Germany. It is a final which many may have expected but necessarily in the way it came about. Furthermore the match will see the third time these two giants of the international game have met in a World Cup Final. It's the fixture which every English fan wouldn't want to see, the two old rivals of the British game coming head to head with one soon to be the ultimate winner. However in terms of football historians, such a match is great to see, with 5 World Cups already between them and a potential for one player to be named the 'greatest player ever'. In this piece we are look at the past meeting between the sides, from the finals in 1986 & 1990 to the recent square-ups including the feisty and brutal encounter in 2006 and the 4-0 humiliation of Argentina four years ago. 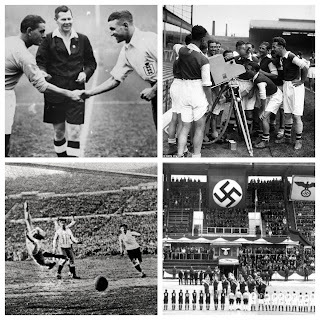 Here at The Football History Boys we have written extensively about the past World Cups and often in depth into German football. 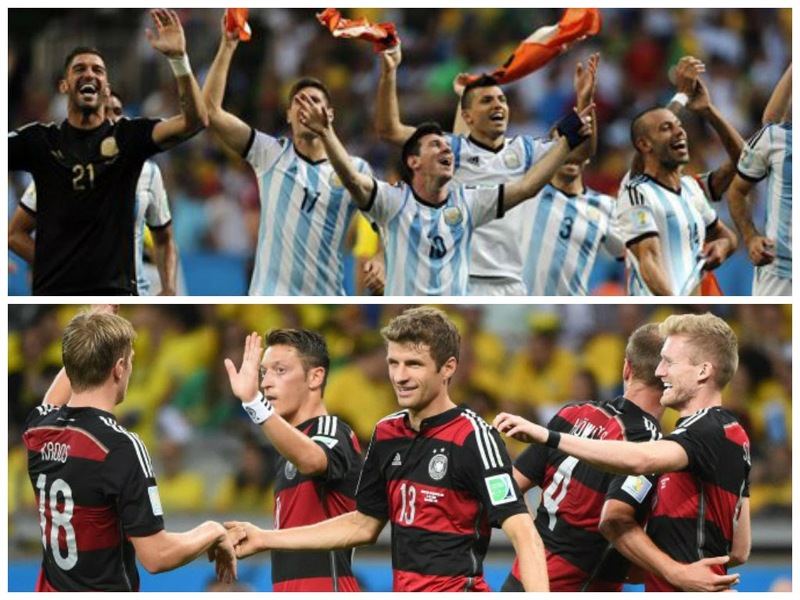 Both finalists are steeped in history, Argentina contesting the first ever final in 1930 and Germany lead the way in terms of overall victories (1930-2014). 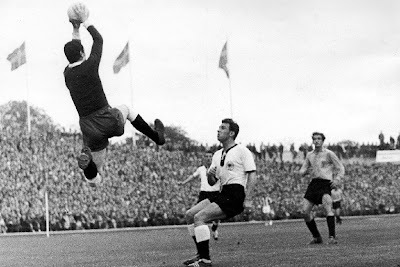 The sides first met in 1958, where the defending champions West Germany won 3-1 in front of 31,000 people in Malmo. The game was to be remembered for the Argentine team forgetting to wear their change strip - instead the side borrowed kit from local club IFK Malmo. Relations between the two countries stretch further than just football. From around 1885, just 14 years after German unification, immigration from Europe to the South Americas began. Mainly due in part to economic expansion in Buenos Aires and later the First World War. Following military defeat and a gradually closed-door US immigration policy, Germanic speakers began to look further south. 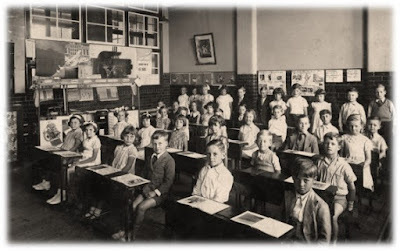 By 1945 and the end of the Second World War, immigration had began to ease, with an influx of German Jews occurring prior to the outbreak of the conflict in 1939. Gabriel Heinze is a notable Argentine football star hailing from a central-European ancestry. The sides have met in the World Cup on six occasions, but it is the 1986 encounter which is first part of this trilogy of finals. 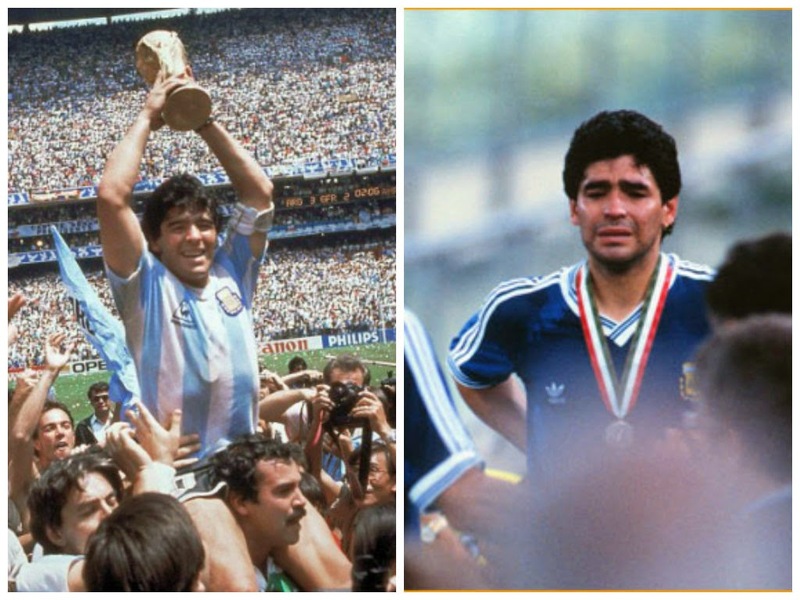 The 1986 tournament has subsequently been remembered for one reason - Diego Maradona. In the run up to the final he produced perhaps the competition's most controversial moment as well as the best goal it has ever seen. Against England in the quarter-final, Maradona's infamous 'Hand of God' goal still angers many fans to this day, but his fine solo effort past 6 opposition defender five minutes later still ranks as the finest ever seen at a World Cup. It helped La Albiceleste to a meeting with the Germans in front of 114,600 at the Azteca. The result was 3-2 in favour of Maradona's men in quite possibly the best final seen in the tournament's history - Jorge Burruchaga scored the vital goal 6 minutes from time. If 1986 saw the best ever final, then 1990 was the antithesis of such an encounter. The 1990 World Cup has since been remembered in a negative light, perhaps unfairly, but the final was for many a drab and dour affair in Rome. West Germany managed to gain revenge for defeat four years previous and triumph 1-0 in a narrow and often tempestuous match which also saw two red cards to Argentina's Monzon and Dezotti. Andreas Brehme's 85-minute penalty settled the game and meant once more a team would fail to defend their title as world champions. It was due to negatively contested matches like this which led to three-points being introduced for a win in 1994. 16 years later the two enemies would meet again for the first time since Germany was united both West and East. In Berlin, the nations contested the quarter-final in what had been a positively played and mannered tournament (except for the 'Battle of Nuremberg'). On home soil, in the capital city, extra-time and penalties was needed to determine who would progress to the last four. Miroslav Klose notched his tenth World Cup finals goal to cancel out Roberto Ayala's opener before Jens Lehmann was the hero guessing correctly for every Argentine penalty - saving two. It later emerged that the maverick goalkeeper had handwritten notes in his sock with instructions about which way to dive. The match ended on a sour note with a melee breaking out between both sets of teams and officials. Ex-striker Olivier Bierhoff was at the centre of the fracas which saw Argentina's Leandro Cufre sent off after the final whistle. "I'd like to remind people that in football there is so much tension, so many emotions and if it goes all the way to penalties someone can lose control. Football is just so emotional. It's just normal. It's no big deal, no problem at all." Germany vs. Argentina is seemingly becoming one of the most frequent fixtures in the World Cup with the two sides meeting once more in 2010. Once more in the quarter-final it was the Germans who would come out on top, this time thumping Diego Maradona's (now manager) team 4-0. The performance has since been described as one of 'devastating attack' with Miroslav Klose (2), Arne Freidrich and Thomas Muller all scoring to send Messi, Tevez and co home early. Despite showing promising signs and attacking flair throughout the tournament remembered for being dull and defensive, a semi-final was a step too far for the South Americans. So onto Sunday's finale and what to expect from two sides which have come through the tournament unscathed. If 2014 has taught us anything it is to expect the unexpected - who saw Germany humiliating Brazil 7-1 or Costa Rica reaching the quarter-finals? Not me. Germany are the narrow favourites after beating winning Group G before scraping past Algeria after extra-time and France in a close match at the Maracana. The Germans have not always been at their imperious best with the semi-final victory versus the hosts almost masking the fine margins which saw them progress to that stage - Ghana also came very close to victory in the group stages. Argentina have been a more defensive unit relying heavily on captain Lionel Messi for inspiration. Messi scored four goals in the group stage before assisting fellow Golden Ball candidate Angel Di Maria to an 118th minute winner against Switzerland. Another slender victory over Belgium and penalty shootout triumph over Netherlands has seen Messi come within 90-minutes of the ultimate prize. For the last three years it has been debated whether or not he has the right to hold the title of 'Greatest Player Ever' with most critics believing a World Cup win has to included on any candidate's list of accolades. For me it is almost too close to call in what has been the closest World Cup in recent memory. Each team has their strengths but also their weaknesses with a shaky German defence and an Argentine over-reliance of Messi. Personally I believe it would be a special moment if we are to see Lionel Messi emerge victorious in Rio De Janiero and cement his place at the height of football's staggering history. 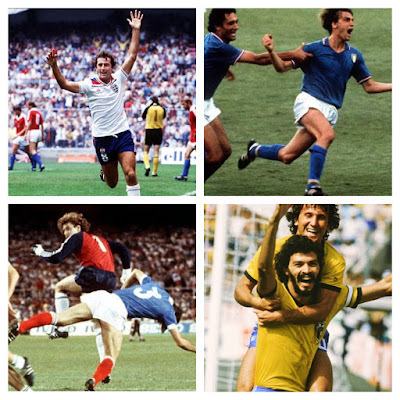 The history of this great rivalry has taught us that we wont be far from goals, controversy and two nations throwing their lives on the line to become world champions - let's just hope we get a game similar to 1986 rather than 1990!